UGA has issued a statement on suspended tailback Todd Gurley after a meeting with the NCAA in Indianapolis today. Basically, they made a statement around 4pm that they would have a statement around 5pm. At 5:30pm, UGA issued the statement above. Regarding Todd Gurley's eligibility, the NCAA is continuing to work with Georgia and is awaiting the school's request for reinstatement. So there you go. 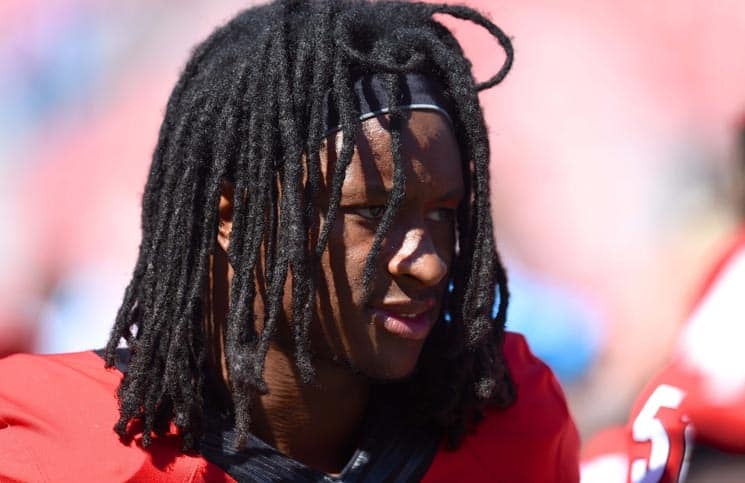 Todd Gurley remains suspended indefinitely. He will not make the trip to Little Rock unless a decision is made before the UGA plane departs, which should be around noon on Friday. Georgia and Arkansas square off at 4pm ET on Saturday at War Memorial Stadium in Little Rock. The game will be televised by the SEC Network.